Ingersoll Rand Vice-President Manlio Valdés said that his company : “sees tremendous employment and business growth potential if the EU mandates an energy-efficiency target in its 2030 energy and climate policy”. 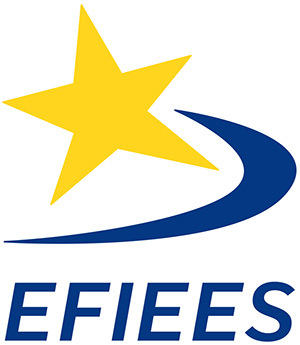 The Energy Efficiency Industrial Forum (EEIF) is a platform of European industries providing a full range of energy-efficient products and services. Our member companies contribute energy efficiency-related revenues of over €150 billion annually to EU GDP. Our industries are investing massively in developing the energy efficiency market in the EU. We are confident that the creation of this market will invigorate the EU economy, boost growth prospects and benefit European citizens. A fundamental change in Europe’s approach toward energy supply and use. Energy wastage is no longer a viable option for our societies if we are to secure a viable, sustainable energy future. A long-term vision for energy and climate which links the 2030 policy framework to a 2050 scenario that is high in energy efficiency and low in carbon. Measures and policies that support industry investment in energy-efficient solutions including full implementation and enforcement of existing measures. 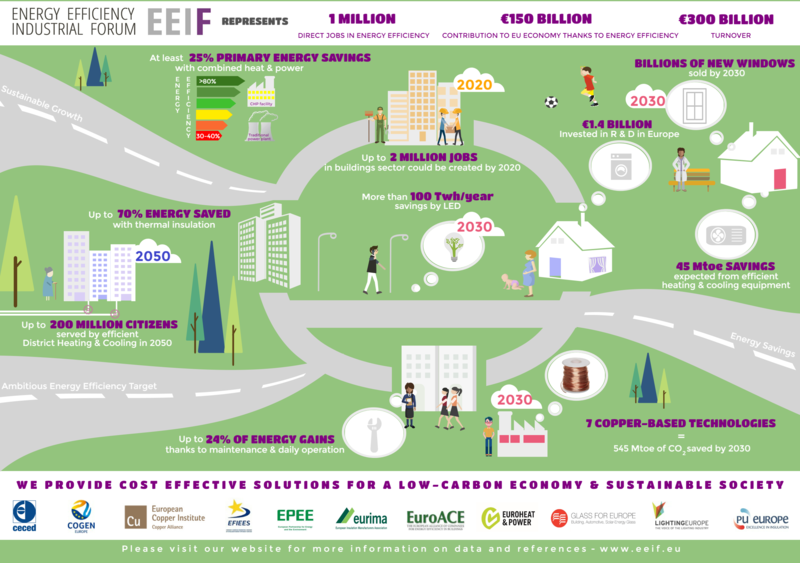 Setting EU energy efficiency objectives that are based on cost-effective energy savings potentials defined via a bottom-up approach per sector. The analysis according to which the objectives are set must include savings in both power and heating and cooling. The formal integration of energy efficiency into the EU’s Energy Union strategy. make energy efficiency attractive for EU citizens. Increasing income for public budgets. Creating additional, stable and local jobs.